I want to be able to use SkyDrive, a free online service, with my students to store files, share work, and collaborate on school projects. The school has Microsoft Office on all computers and the majority of students (if not all) have this software at home. Their familiarity with Microsoft tools will make it easy for them to learn how to use the Word, PowerPoint, and Excel Web Apps, as well as the other features built into Skydrive to do their school and home work. The first step towards introducing students to Skydrive is to have everyone become registered Microsoft Account holders. This step should be easy…yet it hasn’t been. The majority of students have existing Hotmail or Live accounts, which makes it simple for them to sign into their Skydrive account and join the Grade 7 Group I created to share files. However, about a third of the class are using Yahoo, Gmail, or other web-based email accounts which requires them to complete several steps to register for a Microsoft Account. Here is what I discovered! THERE IS A LIMIT TO THE NUMBER OF MICROSOFT ACCOUNTS YOU CAN CREATE IN ONE DAY! At first, everything was going well. Those students with existing Hotmail or Live accounts were quickly able to sign into their Skydrive accounts and join the Grade 7 Group. Those students with Yahoo or Gmail had a bit more work. They had to key in their information, wait for a verification email to be sent to their Yahoo or Gmail accounts, and then click on the link to activate their new Microsoft Accounts. We were able to create several new Microsoft Accounts before errors started to occur. I never had a chance to record the actual message or take a screen shot for future reference, however it read something like this, you have exceeded the number of Microsoft Accounts you can create in a day. 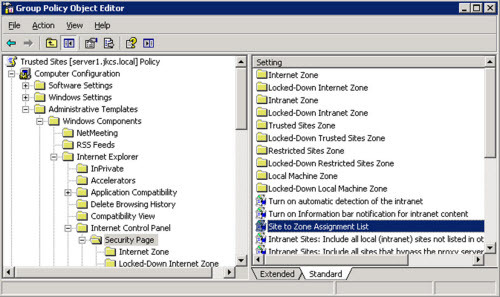 After those errors began to appear across computer screens throughout the lab, no more registrations could occur. We were at a standstill! Start Simple: Have students with existing Microsoft Hotmail, Live, or Xbox Live accounts sign into Skydrive. If you created a group, have them join. Register a Few Students at One Time: Have only a few students create a new Microsoft Account at a time. Use Existing Email Address as Account Name: Have students use their existing Yahoo or Gmail email address as their Microsoft Account name, that way they don’t have to remember different usernames. Use Familiar Password: Have students use their existing Yahoo or Gmail password as their Microsoft Account password so that they don’t have to remember something different, which might create confusion. Security Questions: Have students select a security question instead of providing their phone number. I posted the issue I was having to the Microsoft Forum. I quickly received a response with some helpful suggestions. 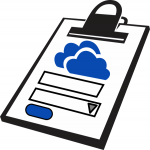 You can view them at the post: SkyDrive Registration – What is the Maximum Number of Microsoft Account Registrations in One Day? Divide into Groups: Since we started registration for Skydrive last class many students are already existing Microsoft Account holders. The classroom teacher and I decided to divide the two groups – Existing Microsoft Account holders and Subscribers. Adjust Seating Arrangement: For this class to run smoothly we adjusted the regular seating arrangement. Before class, I posted stick-it notes to a line of eleven monitors with Existing Microsoft Account Holders names. Those students quickly found their seat when they entered the computer lab. The remaining students sat in an open seat. This arrangement made it easier to help both the Existing Microsoft Account holders and Subscribers because they were sitting together. 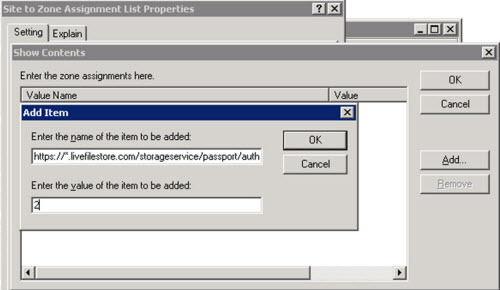 Assign a Task: Existing Microsoft Account holders required a meaningful task they could complete independently. A TechnoWonderland word processing assignment was planned in advance. Students were given a one page worksheet with detailed instructions to follow. Since they were all sitting together they were encouraged to help one another if a question arose. Small Groups of Subscribers: The Subscribers were divided into three small groups. The first group worked with the classroom teacher to register for a Microsoft Account and join the Grade 7 Group. The second group worked with me to register. Meanwhile, the remaining students worked on the TechnoWonderland word processing assignment until it was their turn to register. Free Time: When a Subscriber was successfully registered, the student switched spots with an awaiting classmate and used the remaining time to complete a task of their choice. As well, when an Existing Microsoft Account holder completed their TechnoWonderland word processing assignment they also had free time. This allowed the classroom teacher and myself to solely focus on registration. I don’t want to give up. I really believe that using Skydrive will help students collaborate with peers on group projects, transfer files easily from home to school, and showcase their work. So…my solution is to take small groups of the remaining students and register them during lunch recess. If I have this much trouble registering what will it be like when the entire class is working in Skydrive. Will it freeze? Generate errors?